DiversiTea – This event gets students together over a seemingly mundane setting of tea and cookies, for dynamic discussion on current topics. DiversiTea is a way to celebrate the differences that make up our student body by facilitating interactions outside of the classroom. Just Dinner -- These dinnertime conversations are an opportunity to dive deep into topics relating to diversity or social justice. Invited faculty share their expertise as students enjoy dinner, socialize, and share their own perspectives on the evening's theme. 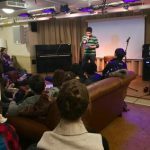 Voice Box -- Voice Box is Geisel's very own open mic story telling event (think Moth Radio Hour). Once a year, students nominate their peers to share a story with the Geisel community in this supportive, judgment-free space. First Year Orientation -- DICE representatives help set the tone at First Year Orientation by sharing information about resources, events and support offered through the Office of Diversity, Inclusion, and Community Engagement. This time is also used to lead interactive activities aimed at starting conversations that promote and celebrate diverse student experiences at Geisel. 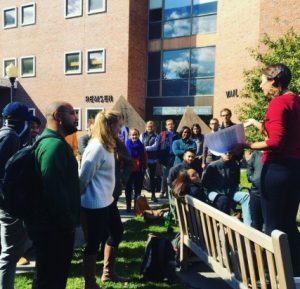 Second Look Weekend -- Understanding a school's commitment to diversity and inclusion is an important factor for many students’ selection of a medical school. DICE representatives lead an event during Second Look Day to answer these critical questions about what diversity means at Geisel. This event is open to underrepresented students and others interested in learning more. 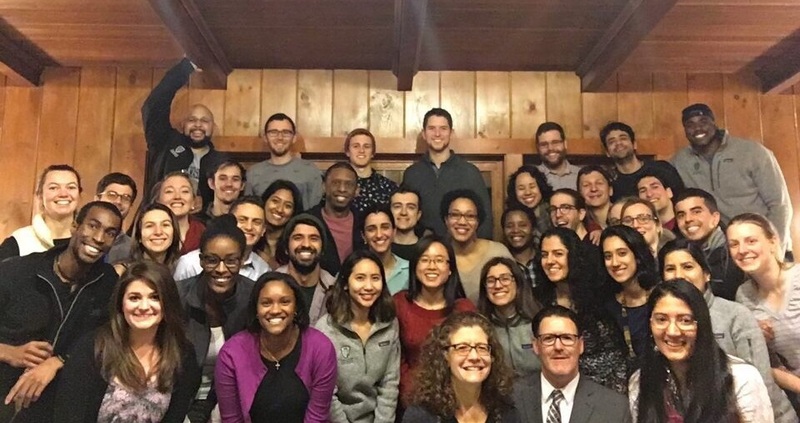 Clerkship experiences in areas with greater opportunities to interact with minority populations (e.g., Navajo nation, Alaskan native populations, California Pacific Medical Center) and electives with urban homeless populations or underserved populations at the Lemuel Shattuck hospital in Boston.